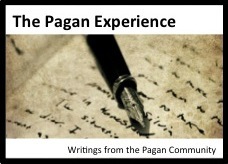 Welcome to the Pagan Experience…. Hello 🙂 I recently came across The Pagan Experience and my blog is still new. Although it is late in the year I have started to participate with the prompts. Here is to hoping prompts can get my writing fingers going. It has been a pleasure to read the other posted blogs. Everyone has incredible views and it is a blessing to have found you. HI Claudia… Looking forward to reading your posts as well! Hi! I am also participating, oh how wonderful it will be to connect with all of you and read what you all have to say! Hugs and blessings! Signed up for The Pagan Experience 2015! Always quite helpful to have a prompt when blogging about such a vast subject, as is the case with Paganism & Witchcraft!